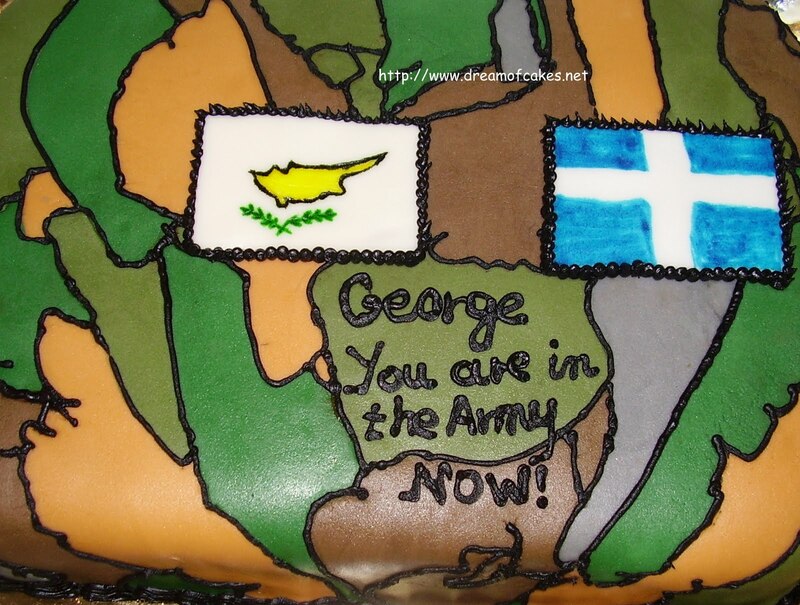 This cake was made today for George, a Greek-Cypriot guy who is going to join the army soon. It took me more than 4 hours to make it, assemble the pieces and finally to decorate it. I reached a point I thought that I could never manage to finish it. 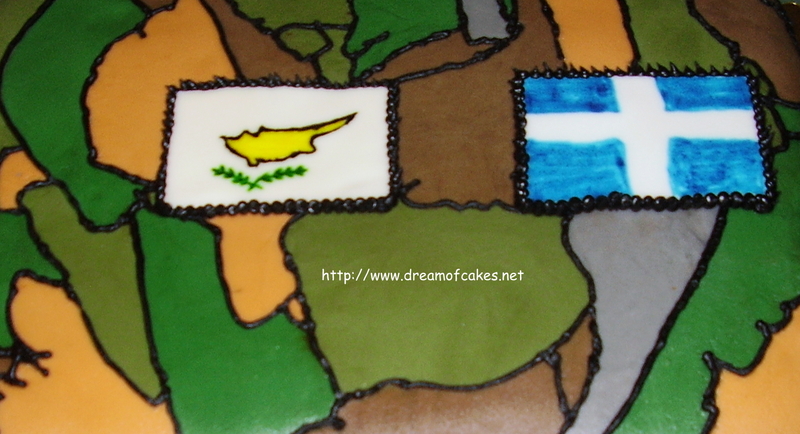 You can see the Cypriot and Greek Flags. Both mean so much to me!! And although I had a short warning this was the reason I decided to make this cake. This has got me very emotional! I come from what we call - an army-family. 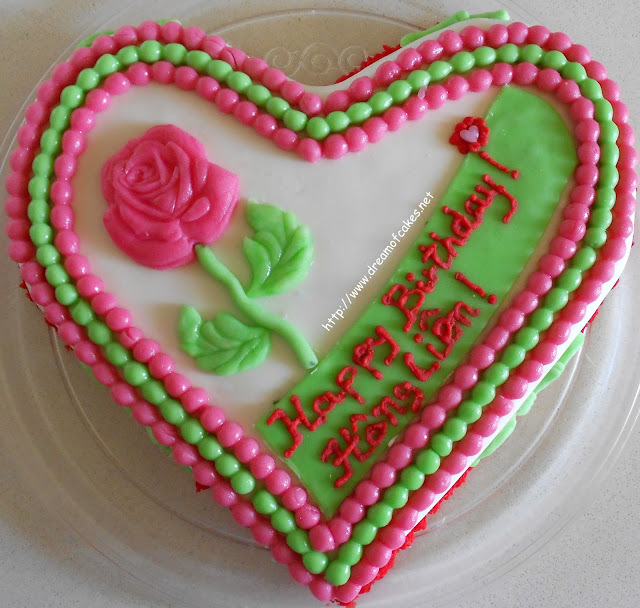 wonderful cake you've made, and I love the idea! The cammo look is too cute. Who wouldn't like it?....it's awesome! I'm from a military family and I just love it!! 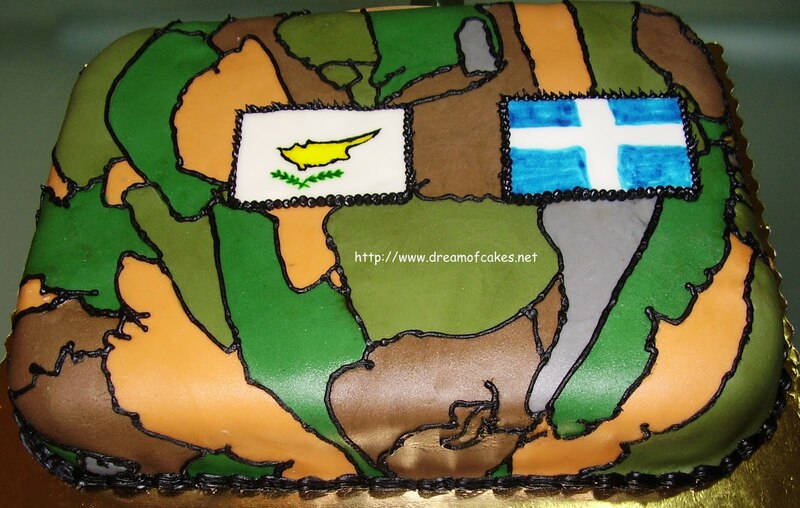 Love the camo cake, it would be a hit at any army base ( I am close to Ft Hood TX). Very creative and perfect for George! You can tell the amount of worth that went into it and it turned out wonderful! Great job! what a lovely cake! and so much work, good for you! WOW! all those pieces must have taken you ages to put together. Any military person would love this cake! My thoughts exactly "WOW!" Great job. I don't have that much patience! 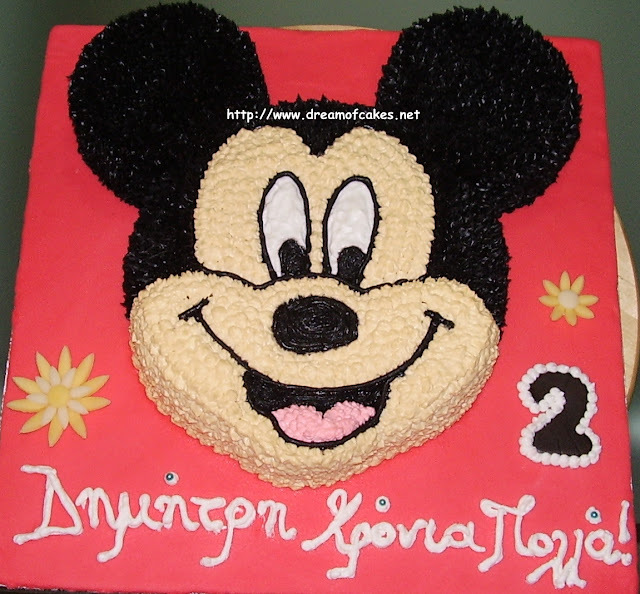 ok poli poli oreo, fantastiko, alla ipame na kamoume dieta me ta cake sou proi proi pes mou pos.....? I have never seen a cake like this! Great work and of course, it is beautiful (especially the flag part). Such a beautiful cake. Such vibrant colours. Best of luck to George. That cake is really awesome! Now THIS is SO COOL! I love it! George: What a career filled with integrity to have, serving your country and your fellow man! You should be proud of yourself, wear your uniform with honour! A beautiful cake, and most of all, meaningful. What a great way to celebrate a new stepping stone in someone's life. Congrats to George and kudos to you for making this piece of art! Amazing as usual. You have so much more patience than I do. :) Best wishes to George! Amazing as usual! You have so much more patience than me when it comes to baking. Best wishes to George. 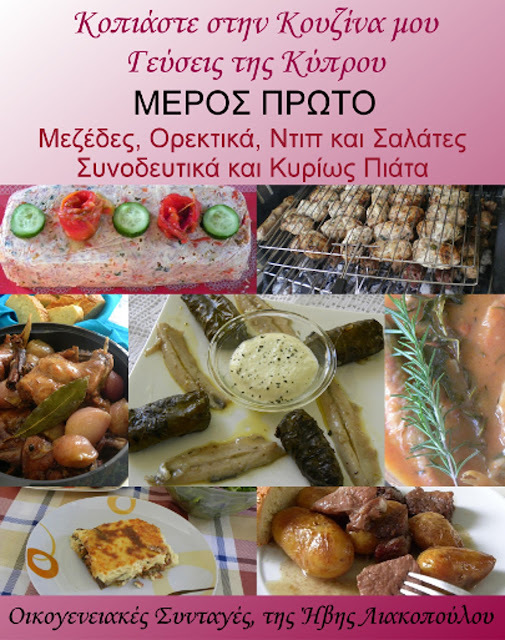 I love this blog, thank you! Great cake. Good Luck George. Great looking cake, I'm sure George will love it!